Posted on March 3, 2017 at 5:06 pm. 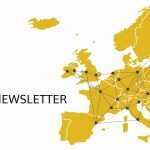 In our fifth newsletter, we highlight the programme of events 2017, and present the profiles of the new Project Technical Manager, Ignacio Pagonabarraga, and the Project Coordinator, Ana Catarina Mendonça. We describe the nature of the E-CAM extended software development workshops and the outputs from these events in 2016, and present a report from the E-CAM second General Assembly. A summary of the deliverables due during period covered by the Newsletter is also presented. An opinion piece by Prof. David Ceperley poses the question “Does our simulation community need EXASCALE?”, and offers his perspective.